Buying homes isn’t the problem. It’s selling them. as fast as you can gobble them up. Sell homes in days – not months. never step foot into a bank! Pay YOU up to $8,000 and even more on many deals. I usually don’t get this angry, but thousands of good, well-intentioned investors are getting duped right now – and it’s costing them a fortune. I call it the BIG FAT LIE! You may soon get suckered too … if you don’t take just 4 minutes to read on. What’s got me so fired up? Everyone, and I really mean EVERYONE including irresponsible investment gurus (you know the ones! ), the media, the talking heads on the TV talk shows, the fat-cat Washington insiders – are all trying to get you to buy! Buy foreclosures! Buy bank-owned properties! Buy wholesale! Buy! Buy! Buy! Are you using the same investment methods you learned 3, 5 or even 7 years ago? 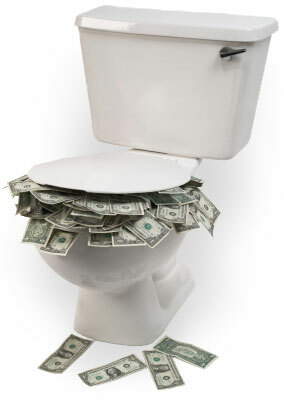 Make life easier and flush what’s left of your savings now. Because if you’re using the same old buy-sell strategies, you may as well as just take $30,000, $100,000 or even $200,000 of your hard earned money, walk over to the toilet and flush it all right now. It will be a lot easier and quicker than trying to use old school methods to sell your property. Tom Schumer, a long-time real estate investor, explained at a church picnic how he can no longer afford the payments he’s making on his investment property. It’s sat empty for months with not a single offer. He’s getting ready to sell it at a $200,000 loss! His entire nest egg is gone. He even told his wife she may have to go back to work! She’s 63 years old!! Tom says he’s one of the lucky ones. Lucky? His friend Mark sold one of his properties at a $250,000 loss and declared bankruptcy! It’s not unusual right now. I’m seeing veteran real estate investors taking huge losses on properties they can’t sell. How does a home go from sitting on the market for 12 months to SOLD in just 3 days… at a $43,000 profit? Anthony Walker was just in to see me the other day. He bought a property for $47,000, spent another $19,000 on new floors, cabinets, toilets, doors and did all the painting himself. That was exactly ONE YEAR AGO. Since then, it’s sat empty. He was paying $825 a month in interest for the first 6 months and $1,400 every month afterwards. “I saw all this profit I thought I’d realize that never happened. It was just demeaning.” Twelve months later and $13,350 paid in interest on a $66,000 property, he sold it to me. I sold it in just 3 days … for $109,900! A $43,000 profit!! but do you see what’s happening? Investors are being suckered into thinking they can buy low and sell, but the properties aren’t selling! Of course they’re not selling! Isn’t it obvious? They’re using the same strategies from 6 months, 12 months or even 5 or 10 years ago. Meanwhile they’re getting sucked into a downward spiral of making payments, pouring more money into expensive repairs, contracting with agents and spending thousands of dollars on marketing and advertising and waiting … and waiting … and waiting for buyers to show. It’s no wonder so many other investors are sitting on the sidelines. as you can buy then I invite you to read on. Earn $57,000 – and $5,000 cash every month – in one weekend just like Ronald and Ericka James did after they struggled for months to sell their properties. Create passive streams of income with checks of $5,000, $10,000 or $12,000 every month. I’ll make over $400,000 over the next few years. First, let me take a minute to introduce myself because I think it’s important for you to know who I am (not that I’m some big shot), but more importantly why I’m so passionate about helping other investors achieve their financial dreams. My name is Lou Brown. 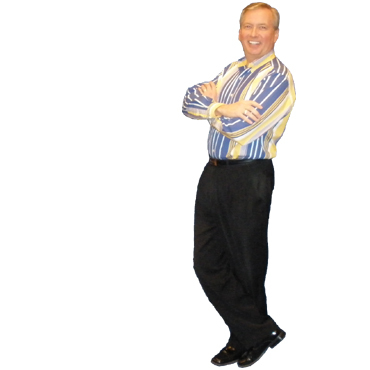 I’m an author, speaker, coach for thousands of real estate investors in all 50 states and creator of the newly updated House Monster® 4.3 System. 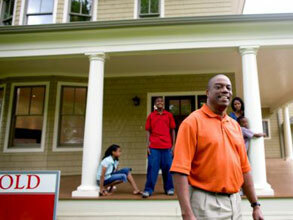 It all turned around in ONE WEEKEND when they began following my House Monster® System of buying and selling homes. For months, they tried selling 5 properties that had been sitting vacant. They tried everything they had learned from their past two decades of experience and nothing was working. Finally, they began taking a completely different approach to buying and selling. Result: In just one weekend they brought in $57,000 in down payments ($17,000 of which went right into the bank) and they’re getting checks amounting to $5,000 every month from these 5 deals. Why were they so successful? Why were they able to sell 5 properties in one weekend after they sat empty for 5 months? Why could I sell Anthony Walker’s property in just 3 days after he spent 12 months trying to sell them? Why are hundreds of my students selling properties when it seems no one else can? I’ll give you the answer in a moment, but I think it’s important you know a bit more about me because the solutions I’m about to introduce to you came about because I made a promise to myself a long time ago that others would not have to live as I did. How did a skinny kid from nowhere, with no real estate background, no contacts and no money build a multi-million dollar business? Please don’t get me wrong. I had a very loving mother, but we had no money. My mother emigrated from Scotland as a war bride after WWII so I never knew my father. She did her best, but we were poor … really poor. We didn’t have dirt floors but we weren’t far from it growing up in Charlotte, North Carolina. We lived in an apartment built in the 1940s. It had an oil-burning furnace in the center of the apartment. There was no central heat. If you wanted heat, you left the door open. We had metal cabinets for cupboards in the kitchen and brown commercial tile on the floor. Air conditioning was an open window. Our “dining table” was actually a Samsonite card table, you know, the one with the sunken belly in the middle. We had folding metal chairs to sit on that were bought with S&H Green Stamps. The stamps were once given with the purchases of groceries. It was my job to lick and stick the stamps into books so we could redeem them for furniture such as my bed, a sofa and “dining set”. A metal card table for dining, macaroni and cheese for dinner and no hope for a better life … I knew I had to make a change. I really didn’t realize we were poor at the time. I knew we didn’t have much money. The meals weren’t fancy. We mostly ate TV dinners, macaroni and cheese and beans. My mother, God love her, was a wonderful person but she didn’t have any money skills. Money was made to be spent. If there wasn’t enough, she borrowed it from a local loan shark. Bill collectors haunted her. Just closed on a property with over $30,000 in profit! As a teenager at the time, I began to pay attention to where people were making money. It was about that time, I met “Aunt Mabel and Uncle George” who changed the rest of my life. My mother worked with Mabel (who I affectionately called my aunt). Aunt Mabel and Uncle George lived in a rented duplex when I first met them. A year later they bought it. They lived in one side and rented out the other. The next year, they bought another duplex on the same street. Then they bought another and another. They soon had 5 duplexes in the same neighborhood and a single-family home. By this time, Aunt Mabel and Uncle George were no longer living in their tiny duplex. They moved into a nice, big house on a corner lot with the largest yard and a Cadillac in the driveway to take them out to the nicest restaurants in town where they ate just about every evening. Most people wouldn’t consider Aunt Mabel to be very bright. She had a speech impediment; she was short, rather out of shape and not blessed with the best features, if you know what I mean. Most folks didn’t pay her much attention. But I did. I was 19. And I found myself learning from someone who I considered to be the smartest person on God’s green Earth. Real Estate investors in all 50 states across Canada and fifteen foreign countries including as far away as Australia and New Zealand, have long regarded the training, systems and forms created by Louis Brown as the best in the industry. 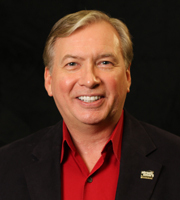 Quoted as an expert by many publications and authors, Lou draws from a wide and varied background as a real estate investor having been buying property since 1976. He’s invested in single-family homes, apartments, hotels, developed subdivisions and built and renovated homes and apartments. Each of these experiences has given him a proving ground for the most cutting edge concepts in real estate today. He’s widely known as a creative financing genius with his deal structuring concepts, including the House Monster® System 4.3 for selling homes. Being a teacher at heart he enjoys sharing his discoveries with others. He has served the industry in many volunteer positions such as past President and designated lifetime member of the Georgia Real Estate Investors Association, the world’s largest investor group. He is also founding President of the National Real Estate Investors Association, which serves as the umbrella association of local investor groups. Husband, Father, Author, Lecturer, Inventor, Investor, Builder, Designer, and Real Estate Expert are all descriptions of this exciting teacher. To help me get started, Aunt Mabel introduced me to a Realtor. In two days, I looked at 5 properties. I was working as a blood order clerk at the American Red Cross so I didn’t earn much money and I couldn’t qualify for a loan so I took my life’s savings and I ended up buying a property by taking over the existing financing. I remember at closing, I didn’t have enough for taxes so the seller and Realtor took a further discount to get the deal done. I was so happy. My mother moved in with me and we had a new home to call our own. 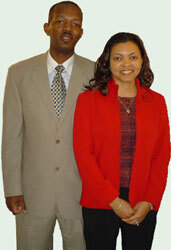 Two years later, I moved to Atlanta and I continued to buy more properties by taking over the existing financing. I took over the existing financing of course, and got the owner to carry back owner financing. You see, I learned from my very first deal with Aunt Mabel that the seller could be the bank. It’s been a cornerstone of my system and is especially valuable today as lenders tighten their lending standards. The banks are a big reason we’re in this mess today! My biggest home run yet… $179,000 PROFIT! step foot in a bank again? Banks don’t want the risk they feel is inherent in you having “too much” property. So I became the bank. I never have to walk into a bank. I also found people who saw they could get better returns in real estate than in the stock market who could provide private financing. Business was booming. Meanwhile, my colleagues in the local REIA were struggling. I realized I was doing everything “against the norm” – and it was working! As more people asked me to share with them my “secrets” I began to document it into a system for others to follow. And guess what? I found I love to teach. I also found that if people have a system that they can trust and easily follow, they could make enormous amounts of money without a lot of work. I just wish now I had something like that when I got started! Since the recession, we’ve had to completely rethink how we do business. If you haven’t noticed, I don’t just teach other investors, I’m also a student. I buy and sell houses and apartments to this day. So I’m constantly giving my clients my most up-to-date methods. We kept those things that are working such as seller financing and tested new methods that are proven to work to create our new House Monster® System 4.3. 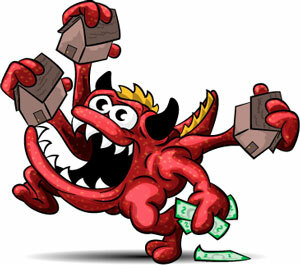 The House Monster System 4.3 is based on a very simple concept: Sell homes as fast as you can buy them. Previously, the traditional way of buying and selling homes looked something like this: Buy a property at a discount from the bank, fix it up or wholesale it, market it, pay the holding costs (property taxes, insurance, interest, etc.) and then try to find the buyers, and sell it for cash at a profit. That method worked fine for a while. Heck, it worked great for me too … when there were plenty of buyers and credit was easy! But everything has changed. Banks have tightened their lending standards. Higher down payments are required. And if you haven’t noticed, consumer credit ratings are no longer as high as they were. The other BIG FAT Lie… Don’t get suckered by this one either! There are fewer qualified buyers, right? That’s what the media and so-called experts would have you believe. That’s another Big FAT Lie. The truth? There are plenty of qualified buyers BUT ONLY IF you’re willing to toss that old investing model out the window like an old-worn out pair of shoes. They may have felt comfortable several years ago and may even have been your favorite, but they’re worthless to you now. Same is true with old, out-dated investment systems. 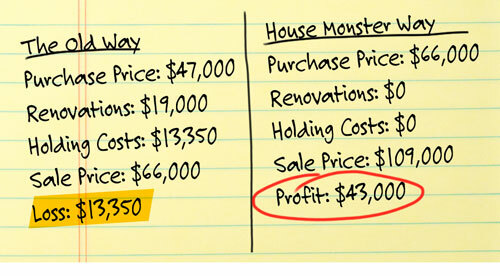 The House Monster® System 4.3 is designed for today’s market so you don’t get stuck buying properties you can’t sell. With the House Monster® System 4.3 you first eat up as many buyers as you can and then sell them property that matches their income. You never buy the property until you already have your buyers lined up. When you do buy the property, its pre-sold. Makes sense, right? Just like a contractor doesn’t build a home until he has a buyer, we’re not purchasing properties until we have a buyer first too. We’ll review their income, their employment history (don’t worry, our system shows how!) and then we’ll find the homes that our buyers can afford. Better yet! 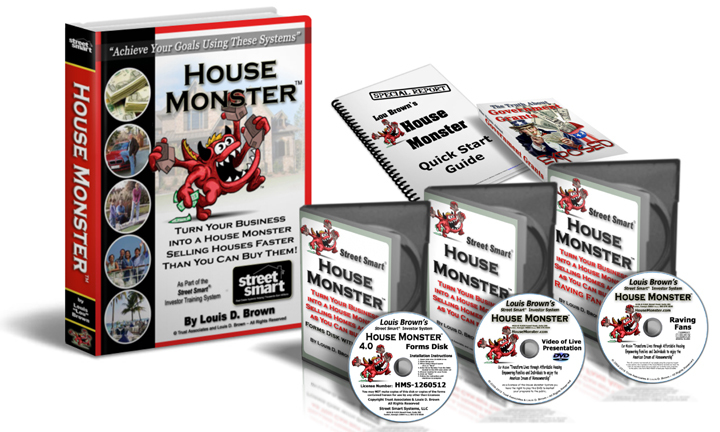 The House Monster® System 4.3 shows how you can get dozens of potential buyers (all pre-qualified!) 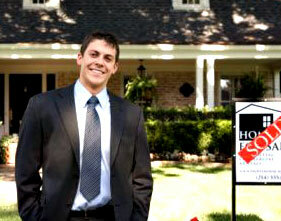 bidding on your homes so YOU can maximize your profits! They can even fix it up for you, if you want. And you can choose to either sell it at a profit or rent it back to them and earn a monthly income all while they continue to maintain the property. If only my friend Anthony Walker knew the secrets I’m prepared to give you. He wouldn’t have wasted twelve months of his time and $13,350.00 of his hard-earned money. Never get stuck again holding properties you can’t sell. Never worry about buying a home and finding the buyers. Never struggle finding qualified buyers. Never worry about making repairs. Never step foot in a bank. Never worry about being the landlord. Never pay property taxes and insurance. You can literally have buyers lining up to buy properties you don’t even own yet. Once you get their order, you can buy it and fill it and have them move in the next weekend! It gets even better! Get $8,000 or more from government grants on every deal. Uncle Sam Bucks for ALL your buyers! You read that right. The federal government, state governments and local city and county governments have grant programs for new home buyers! How does that help you? Using the House Monster® System 4.3 you can use the equity in the home to convert government grants into cash so buyers can put that money towards a cash down payment. Do you think you’ll get more buyers qualified if you gave them up to $8,000 or more cash? You bet you would! And we’ve got a clever way to get that message across with our Uncle Sam Bucks! Use them in promotions, in your ads or just hand them out to prospects. How many more buyers you think you’ll get now?! Our famous “Uncle Sam Bucks” will help you get homes sold – FAST! Plus, there are also plenty of local, state and federal grants available too. In our area, the state offers another $14,000 for rehabs, the county offers up to $8,000 for first-time home buyers and the state offers another $1,800. (We show how to cash in on all these grants!) By the way, buyers never have to pay this money back. Buyers can either cash you out or pay you monthly payments. Either way, you get the house sold quickly… you get money back from the government cash advance… and you can choose whether to take the profit right away or give yourself years of monthly, passive cash flow. See for yourself how the House Monster® helps buyers too! The House Monster® System 4.3 benefits you and homeowners. Sell homes in days – not weeks or months – at profits of 60%-70%? And get paid up to $8,000 or even more from government grants on many of your deals?? How’s that for a GREAT deal! The House Monster® System 4.3 works in today’s economy. It’s less risk for you. You don’t have the holding costs. You don’t have to worry about finding qualified buyers for your property. And you don’t have to get stuck making all the repairs. And it’s good for buyers. 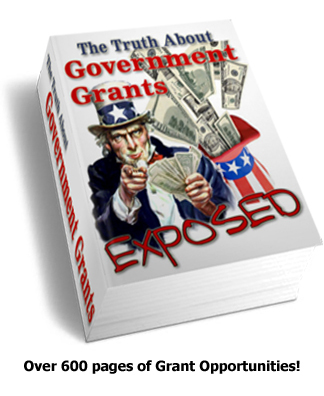 Using our method of turning “government grants into cash” you’ll get more buyers. They can either cash you out or live in the property and pay you monthly. And THE BUYER – not you – can fix it up as if they own it. You don’t have to worry about fixing backed-up toilets, replacing tile, painting or rushing to fix a broken water pipe. Do you call your mortgage company every time you have a problem with your home? As the banker, you won’t be getting those calls either. It’s all part of the sales methods we teach in the House Monster® 4.3 System. In fact, we teach 12 different sales methods – not just one or two – so you can walk out with the most profitable deal – FOR YOU! Hurry! There’s no time to wait. Proven money-making ads you can run in newspapers and magazines. Flyers, postcards and letters (all in electronic format) … just add your contact information and they’re ready to send. Our famous “Uncle Sam Bucks” you can hand out to buyers with a value of up to $8,000 or even more! Scripts to help you turn your prospects into buyers. DVDs explaining how the program works to potential buyers (you don’t have to create a presentation program … we’ve done it for your). A complete CD of testimonials from buyers you can show other potential buyers. An entire presentation kit including promotional ads, banners, a PowerPoint presentation, video testimonials, and more for your next buyers’ event. All the forms you will need including application forms, promissory notes, disclosure acknowledgements and the other forms you will need with step-by-step instruction so you know who gets what. 25 homes in 4 months so I know they work! I’m so confident the House Monster® 4.3 will work for you, I back it up with my 100% No-Risk Money-Back Guarantee that says: If you don’t get everything you need to sell your homes in days – not weeks or months – I will give you back every cent you paid. No questions asked. What could be more fair than that? Sell even the most stubborn homes in just a matter of days – not weeks or months. Create passive streams of revenue of $5,000, $9,000 or $14,000 every month for you and your family for years to come. Take advantage of our ready-made ads, forms and templates so you can close more deals. Be the bank for your buyers and never have to worry about fixing toilets, rehabbing properties or paying profit-killing holding costs. Your copy is waiting for you right now. Put the House Monster® System 4.3 to work for you and sell more homes in just a few days … earn profits of 60%-70%… and get government grants to pay you up to $8,000 and even more on many deals with my Uncle Sam Bucks! Add the House Monster® System 4.3 to the cart today and put it to work immediately. 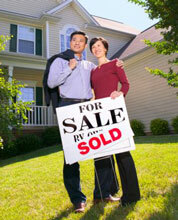 Begin selling homes as fast as you can buy them! Remember, you have absolutely nothing to lose with my 100% No-Risk, Money-Back Guarantee so get your copy right now.